﻿ Using Stones for Personal Growth. Malachite: Responding to Need. Malachite is a rich green opaque stone that forms as an aggregate. It usually has beautiful concentric swirls of lighter and darker green. The lighter areas of the stone are made up of very tiny crystals, whereas the crystals in the darker areas are coarser. Malachite is a copper compound that forms in the weathering zones of copper deposits. Most malachite presently comes from Zaire. Malachite takes its name from the Greek "malache" meaning "mallow". The ancient Egyptians ground the malachite stone into a fine powder and used it as the first cosmetic eye shadow. The stone was also worn by children as a talisman for protection. Malachite acts on the Inner Being to enhance the ability to Respond to Need, to allow others to need you and be dependent on you. Being able to let someone need you is part of being able to love and give in an unselfish way. It is allowing someone to lean on you and depend on you when that kind of support is needed. When you let someone need you, you extend yourself to that person by putting your energy at his or her disposal. You are effectively saying "I will care for you and put out energy on your behalf just because you need it". It takes unselfishness to let others use of your energy in this way. Responding to need has two sides to it. The doing side is putting the necessary energy into giving someone what he needs from you. The knowing side is being aware of what is really needed in any situation, including what you yourself really need. It is being able to recognize the true need in any circumstance, and it is being aware of what it takes to fulfil that need. You must be aware of what someone needs before you can give it to him. Whenever you let someone need you, it means you care for that person enough to give him part of your energy on demand. But you can't do this for everyone because your energy is limited. So how much energy should you put out on behalf of someone that needs you? As much as you want, because it can be very rewarding, but don't go beyond the point where giving of your energy starts to hurt you. It is not wise to give if you hurt yourself by giving. Every person has the right, if not the obligation, to look after himself at least as well as he looks after those that need him. Also, you should never let someone need you to the extent that you resent any part of what you end up giving to that person. Keep in mind that you can not afford to give any gift you resent giving, because resentment is a way of hurting yourself. This balance between looking after yourself and looking after others, is something that many good and unselfish people still need to learn. If you have trouble responding to the needs of others, you tend to isolate yourself by erecting a wall between you and many of the people you know. You are often standoffish and withdrawn and rarely let people get close to you. You find it difficult to align yourself strongly with a particular person, group, or situation. You are not tuned in to the people around you, and you don't pay much attention to their needs. For example, a teacher who is not in tune with the needs of his class tends to be boring because he just lays out the information without attempting to find out what his students want or need. To become more responsive to the needs of others, consider changing your outlook in a couple of areas. Work at developing your ability to devote yourself to something or someone, even if it is just a project you take on. By directing a large part of your energy toward something you are strongly aligned with, you will feel a bond with it, and allow yourself to be needed. This will make you want to give it as much of your energy as it needs. Your capacity for responding to need can also be enhanced by developing a real interest in what is truly needed in different situations you encounter in life. Pay attention and listen, in the non-auditory sense, not only to what others need, but also to what you need yourself. You can only supply a need if you know it really exists. Being genuinely interested helps you tune in and see the reality of what is needed. For example, if you are tuned in and listening, and you see someone standing with a "Will work for food" sign, you will have a good idea whether he really needs it or not. You must be aware of what people really need in order to be effective in your helpfulness. People always respond positively when they get what they need, and supplying it allows you to get through to them. 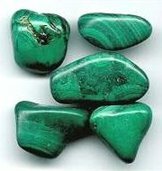 To expand your capacity for responding to need, and become more aware of what people really need, carry a small piece of malachite in your pocket or purse, and let its vibration work with your Inner Being. Practice thinking to yourself "I am glad that he/she needs me, and I am glad I can be there for him/her to hold on to". Having someone need you can add purpose to your life.